The Low-Down: Social Media User Numbers Are Stalling: Has It Peaked? Social Media User Numbers Are Stalling: Has It Peaked? It is generally prudent never to write off technology companies too quickly. Apple, Amazon and Facebook, among others, have repeatedly faced reports of their demise by tweaking their models only to embarrass their eulogists by not just surviving but thriving. Snapchat said it lost three million daily active users in the second quarter from earlier this year. It was the first time since the company went public in early 2017 that it had reported a decline in users. Snap’s report follows similar trends from Facebook and Twitter. The declines and flattening growth raise questions about whether the social media companies have reached a saturation point in some markets, especially in developed countries. For years, people seemed to have an unlimited appetite for signing up for social media services. Now some of those companies may be hitting a wall to adding new users. Snap, the maker of the Snapchat app, said it lost three million daily active users in the second quarter from earlier this year. It was the first time since the company went public in early 2017 that it had reported a decline in users. Snap’s report follows similar trends from Facebook and Twitter. Facebook revealed late last month that its number of users in the United States was flat from earlier this year and that its users in Europe had fallen over the same period, even though its total number of members had grown. And Twitter, which has struggled for years to increase interest in its platform, also said in late July that its monthly active users had decreased by one million from earlier this year. After those disclosures, share prices of both Facebook and Twitter tumbled. The declines and flattening growth raise questions about whether the social media companies have reached a saturation point in some markets, especially in developed countries. That may have been compounded by a steady stream of bad news about social media in recent months, which may have also deterred users. Facebook and Twitter have grappled with the spread of misinformation and foreign interference on their sites, for example, while Facebook has also been dealing with the misuse of user data. Facebook and Twitter were in the spotlight again for how they were handling misinformation spread by Alex Jones, the internet’s notorious conspiracy theorist. On Monday, Facebook removed four pages belonging to Mr. Jones for violating its policies by “glorifying violence,” among other things. Twitter said Mr. Jones’s accounts and that of his right-wing site, Infowars, did not violate its rules. Snap, which began as a disappearing messaging app and has emphasized curation of content, has largely sidestepped some of the issues that Facebook and Twitter are facing. On Tuesday, the company disclosed the drop in users as it also posted a 44 percent jump in revenue to $262 million and a narrower net loss of $353 million for its second quarter from a year earlier. Snap has been dealing with a user backlash for months over a botched redesign of Snapchat. Late last year, the company changed the app to separate chats and stories from friends from the content of media properties, such as celebrities and publications. 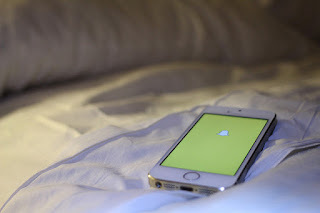 The shift angered many users, including Kylie Jenner, who tweeted in February that she had not been using Snapchat as much and called the changes “sad.” So in May, Snap announced that it was reversing some of the changes and mixing people’s stories with media content. Mr. Spiegel also said that retention of new users over the age of 35 — which is well outside Snap’s core demographic of teenagers and younger users — had improved. He and Snap’s chief strategy officer, Imran Khan, emphasized the relatively young age of Snapchat users and the amount of time they spend on the app — on average, 30 minutes a day — which may appeal to advertisers. Mr. Wieser said he agreed that the appeal to advertisers was more important than whether Snap continues to grab new users. Still, Wall Street had been anticipating that Snap’s daily active users would reach 192 million in the second quarter, according to FactSet. Instead, Snap reported its users were at 188 million at the end of June. While that figure was up from a year ago, it was down 2 percent from 191 million at the end of March.